Owning your own personal well comes with many blessings. Sometimes it seems too good to be true for your water to taste, smell, and look so clean most of the time. However, every once in a while, a water well can have problems. Usually, these problems are technical issues with the water pump, the pipes, the filter, or the water pressure. All these should be attended to only by a professional water well-drilling company in your local area. Here are some common issues you may notice with your water well that a professional can easily take care of for you. The screen isn’t the right size and needs to be replaced with another. The water well itself is taking pressure off of the screen due to a leak and allowing sand to come through. Both of these situations need a professional Lapeer County well driller to take care of it. If you notice this, contact your well drilling company as soon as possible. If your source of electricity is on the fritz or a large shot of lightning got to it, you may have noticed some issues by now. When you’re in this type of situation, you must call a well drilling professional to perform a diagnostics test so the issue can be confirmed. If there is an evident problem, your voltmeter or amp probe must be checked. Evaluating these features of your pump are crucial to solving the problem. Don’t settle for a water well drilling company that doesn’t bother to do a test and a check up on your water pump when it requires a thorough understanding. When your water well is surrounded by wet ground, something is off. There is a device five feet under your water well known as the male adapter. When there’s a hole in it, the ground around it will get wet very quickly. It’s a major sign that you should contact professional help so the male adapter can be repaired or replaced. A professional well drilling company will dig up the male adapter to decide what would be the best way to fix it. Solving this issue requires a technical understanding of the well. That is why a professional should be there to help. They’ll have the appropriate equipment and expertise to solve this issue. All these water well issues can be solved easily when you contact a Lapeer County well drilling company. 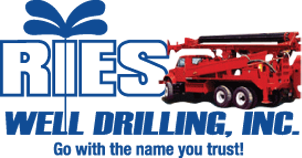 Ries Well Drilling, Inc. is headquartered in Washington Twp, MI and has an excellent reputation in the Lapeer County, Macomb and Oakland County and will be there to help you whenever you have a water well problem.